Coil Tester & Power Supply POB40D is powerful, lightweight power supply device, ideal for operating and testing circuit breakers coils. 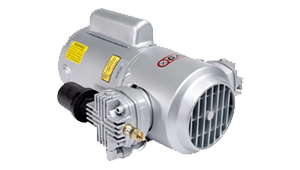 It is also intended to supply spring-charging motors with the possibility to generate the inrush current of up to 40 A DC. For supplying the circuit breaker auxiliary circuits, it provides wide output DC voltage range (10 – 300 V). 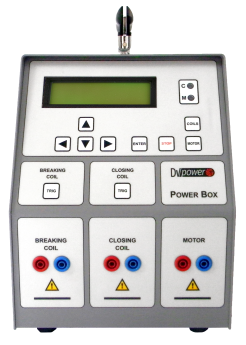 POB40D has built-in capability to perform an automatic test of minimum trip-voltage (in accordance to IEC 62271-100 and ANSI C37.09 standards). 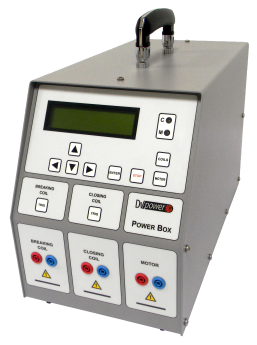 POB40D can be used as a general power supply device or a temporary battery charger. 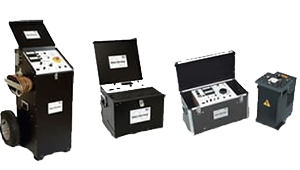 Note that it is compatible with the circuit breaker analyzers from different vendors.